Questions over 27-year-old Rich’s unsolved murder emerged last year at the height of the presidential election season. A onetime staffer for the Democratic National Committee, Rich was shot twice in the back, a block from his apartment in D.C.’s Bloomingdale neighborhood, on July 12, 2016. Though police suggest that Rich may have been the victim of an attempted robbery, the conspiracy theory posits that Rich was connected to the dissemination of DNC emails to WikiLeaks, and killed because of it. WikiLeaks offered a reward for information about Rich’s death, but it has never confirmed that Rich was a source. Renewing interest in the theory, Fox reported this past May that the FBI took custody of a laptop belonging to Rich that contains evidence of a WikiLeaks connection. Wheeler meanwhile filed a federal defamation suit on Aug. 1, accusing the network of colluding with President Donald Trump to obfuscate real news about the Russia probe at the expense of his reputation. Fox balks at the claims in a Sept. 18 motion to dismiss. Wheeler’s attorney Douglas Wigdor shot back that Fox is doing everything it can to limit bad press. Though Fox says Wheeler’s own initial statements about the article belie his defamation claims, the network also contends that procedural flaws require dismissal of the case without even reaching the merits. Fox also disputes Wheeler’s claim that he did not see a draft of the article containing the quotes attributed to him. “The evidence would show that Wheeler not only made the statements at issue, but that he confirmed in writing that he was reviewing a draft containing those quotes before he provided additional quotes for the article,” the memorandum states. Fox says Wheeler’s appearances on “The Sean Hannity Show” and a local D.C. affiliate further demonstrate that made statements similar to the ones he now calls fabricated. 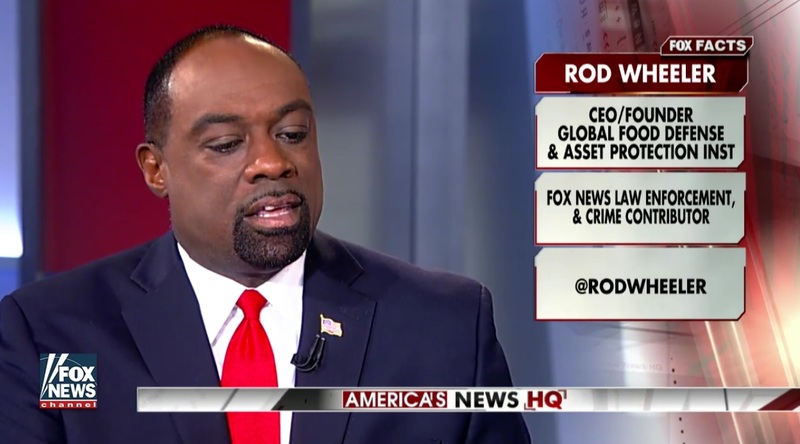 Aside from his defamation claims, Wheeler says he faced discrimination as a black contributor, given less airtime on the network than white contributors are afforded. Fox News says that the discrimination claims are bound by the arbitration clause as well, but that Wheeler failed here too to state an actionable claim or to provide examples of discrimination.